The West Point Band will conclude the “Music Under the Stars” concert series with its annual Labor Day Celebration on Sunday, September 3 at 7:30 p.m. at Trophy Point Amphitheater. In the event of inclement weather, the concert will take place on Monday, September 4. 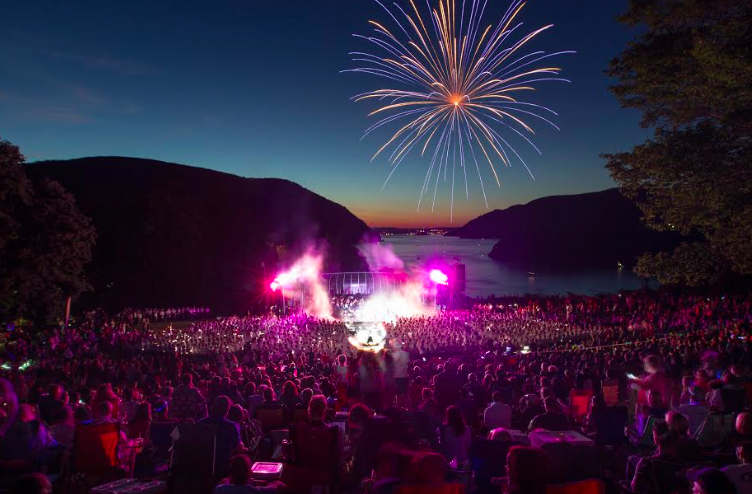 One of the band’s most popular events of the year, the performance concludes with cannon blasts and a spectacular fireworks show over the Hudson River. As always, this concert is free and open to all. Summer may be coming to an end, so send it out with a bang — literally! — at one of the Hudson Valley’s favorite annual traditions. The West Point Band’s Labor Day Celebration pays tribute to our nation and the American people with a night of festive music. Culminating in a performance of Tchaikovsky’s 1812 Overture with live cannon fire and a fantastic fireworks display, this concert will feature classics of the band repertoire, marches from Sousa and others, and a lively rock n’ roll set from the Benny Havens Band. Bring your picnic and spend an evening taking in the beautiful views at Trophy Point and the music of the West Point Band. For concert information, cancellations, and updates, call 845.938.2617 or visit www.westpointband.com.